Get ready for the Challenge! A 5K run or walk through historic Montford may or may not be a walk in the park, but it is a great way to raise awareness and challenge your co-workers and employees to a healthier lifestyle. Register your teams today! The Chamber Challenge is capped at 1,600 participants, we expect to sell out prior to event day. Participants must register online by May 24th to be guaranteed a shirt. **DEADLINE to submit ANY changes such as swaps, transfers, etc.. for individuals or teams is May 24th. After that date, there will be a $10 change fee added per change request for an individual or a team. 1. If your business is paying for SIX or more teams and an invoice is required (meaning you have to pay via check and cannot use a credit card), please email the Asheville Chamber (jwillard@ashevillechamber.org). They will provide an invoice for you and request a promo code for you to use when registering your teams/individuals online. Otherwise, it is easy to sign up your teams online and pay via credit card on Racesonline.com. 2. If you are registering as an individual or only have one or a couple teams to register from your organization. You can go through the online registration process and pay when checking out. 3. When you are creating a team name: please select a name from the list or create a new one. If you have several teams from the same company, use UNIQUE team names for each team. Make sure to add team member names beside team name (ex. Team ROCKETS: Smith, Jones, Adams, Johnson). Training opportunities for six weeks leading up to the race. 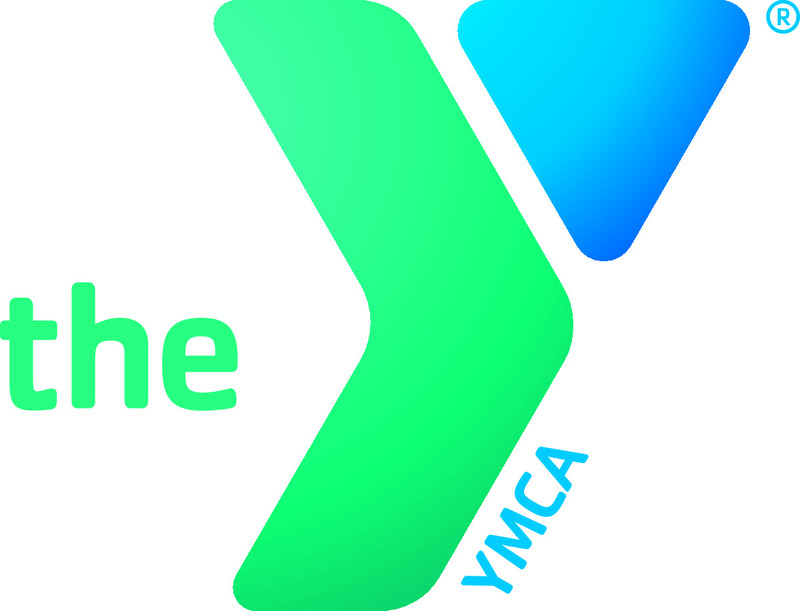 Training will be led by Jesse Hyder, personal trainer, group exercise instructor and Crossfit L1 trainer with YMCA of WNC. This training program is designed to meet your needs, at any level, from absolute beginners to fit athletes wanting to improve their time. Everyone can benefit from this training! Be sure to check www.chamberchallenge.org for nutrition tips to boost your training! Complimentary race shirts are included with online registration through May 24th at midnight. We cannot guarantee shirts for any registrations after May 25th or walk-up registrations (if race is not sold out). Race packets (shirts, race numbers/chips and important information) can be picked up on Thursday, June 6th, between 12 noon and 4:00 pm in the Chamber Boardroom (36 Montford Ave., second floor). Volunteers - We always need many volunteers for this event - please contact Judi Willard at jwillard@ashevillechamber.org if you're interested in helping on race day (anytime from 9:00 am until 7:00 pm). Can i participate in the chamber challenge as an individual or do i have to be on a team? 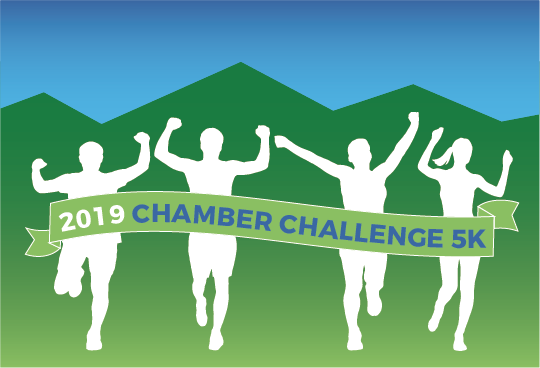 Yes, you can register as an individual and participate in the Chamber Challenge. Prizes will be awarded to the top male, female and co-ed teams. We’ll also hand out prizes to the top team in each of our industry categories: Health/Wellness, Manufacturing, Education, Government & Nonprofit, Finance, Professional Services, Hospitality and Other. Individual Awards will be given to the following groups and categories: Male/Female: Overall Top 3 and Age Groups (1 st and 2nd places only): 9 and under, 10-14, 15-19, 20-24, 25-29, 30-34, 35-39, 40-44, 50-54, 55-59, 60-64, 65-69, 70-74, 75-79, 80 and over. if I am on a team, am i also eligible for individual age group awards? Yes, team members are eligible for overall team prizes, as well as individual age group awards and will be scored in both categories. The race start is determined based on the city bus schedule and is scheduled to start at 4pm. Be at the start line and ready to run by 4pm! Can I pick up the packets for my entire team? Yes, but you must notify your other team members that you are picking up the packets for them. You know how easily people get confused. Race packets (shirts, race numbers/chips and important information) can be picked up on Thursday,June 6th, between 12 noon and 4:00 pm in the Chamber Boardroom (36 Montford Ave., second floor). CAN YOU REGISTER THE DAY OF THE EVENT? What about pickup my race packet and bib? If there is still availability on race day, race day registration and packet pickup will take place from 2:00-3:30 pm at the Asheville Chamber. Look for the registration table next to the building. The Chamber Challenge is capped at 1,600 participants, we expect to sell out prior to event day. You can make changes to your team through Racesonline.com by emailing info@racesonline.com. Deadline for team or individual participant changes is May 24t at midnight. After this date, there is a $10 change fee added to your registration fee. do I get a shirt when i register? WHat if my shirt doesn't fit? Complimentary race shirts are included with online registration through May 24th at midnight. We cannot guarantee shirts for any registrations after this deadline or walk-up registrations (if race is not sold out). If the shirt size that you ordered doesn't fit, the tee may be exchanged AFTER the race has started at the registration area. We cannot guarantee sizes for exchanges. For changes to your registration please contact info@racesonline.com. For other registration related questions feel free to contact us at 828-684-0812 or support@idaph.net. I NEED TO make a change to my individual or team REGISTRATION. Can i switch one of my pre-registered team members? You can make changes to registration by emailing info@racesonline.com. **DEADLINE to submit ANY changes such as swaps, transfers, etc.. for individuals or teams is May 24th. After that date, there will be a $10 change fee added per change request for an individual or a team.